Broadcaster style winding. 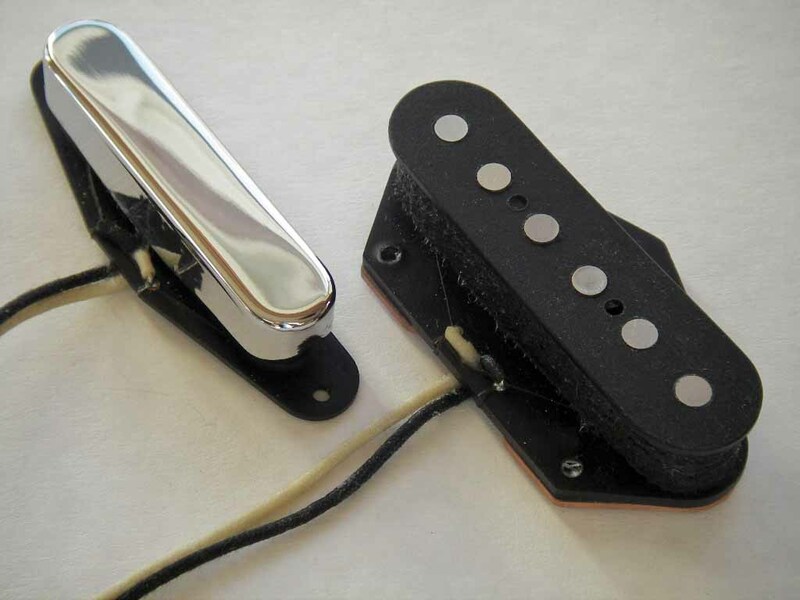 Bridge pickup uses Alnico3 rod magnets and neck pickup Alnico5 magnets gaussed to vintage level. The bridge pickup has flat magnets, staggered if requested. 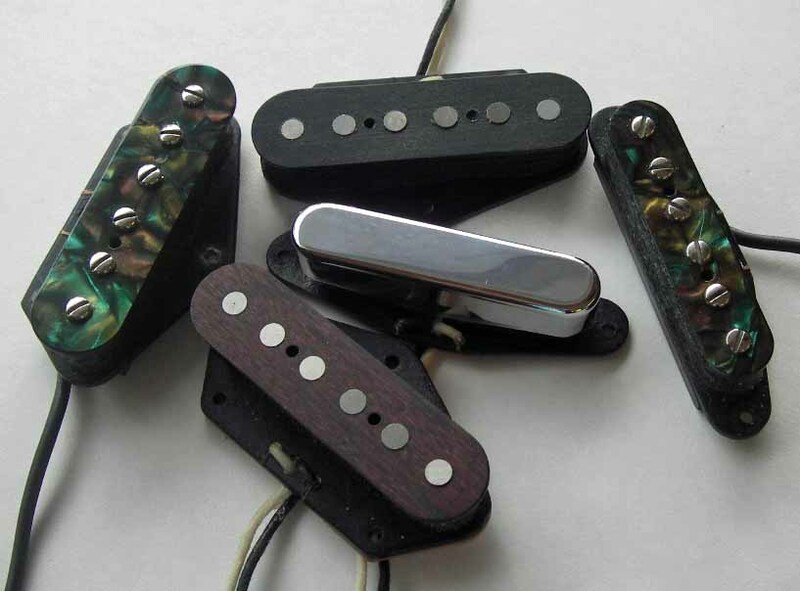 Pickups comes lightly potted, creating microphonics that can retain a musical liveliness. Fully or non potted if requested. Awg 43 Plain enamel magnet wire. 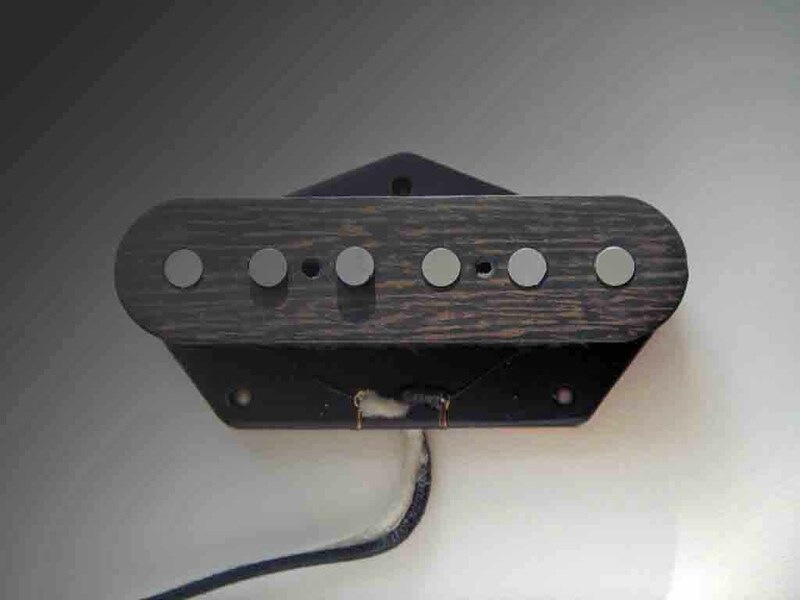 The bridge pickup is available with or without steel baseplate. 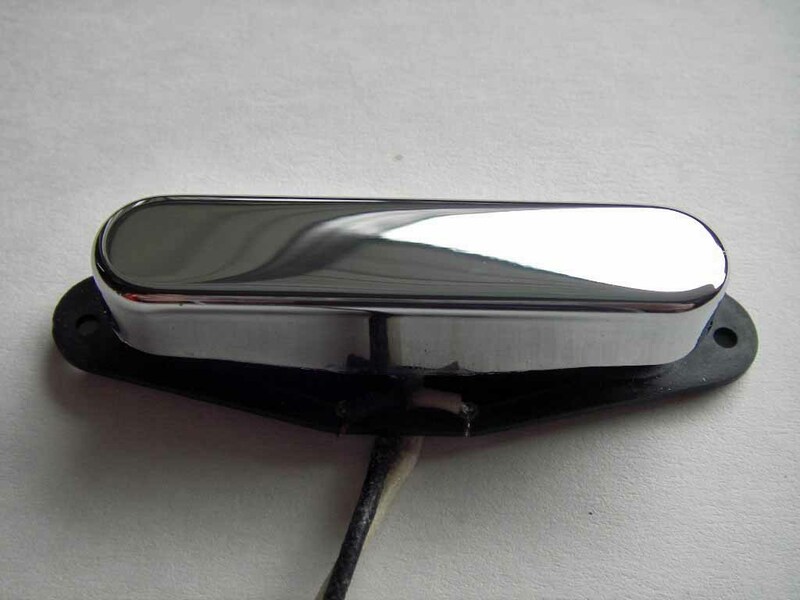 Neck pickup comes with a nickel-silver cover.